For as much of a love of sweets as I have, you’d think that I’d be a chocoholic. While I do love my nearly daily chocolate-caramel Kashi protein bars and can’t resist a peanut butter blossom cookie to save my soul, something chocolate-y isn’t what I’d pick out of a line-up for dessert on the vast majority of occasions. Please don’t slap me. It takes me months to work through a jar of Nutella, and usually the chocolate treats I do make end up at the Folger or the Advisory Board (where they are truly appreciated). 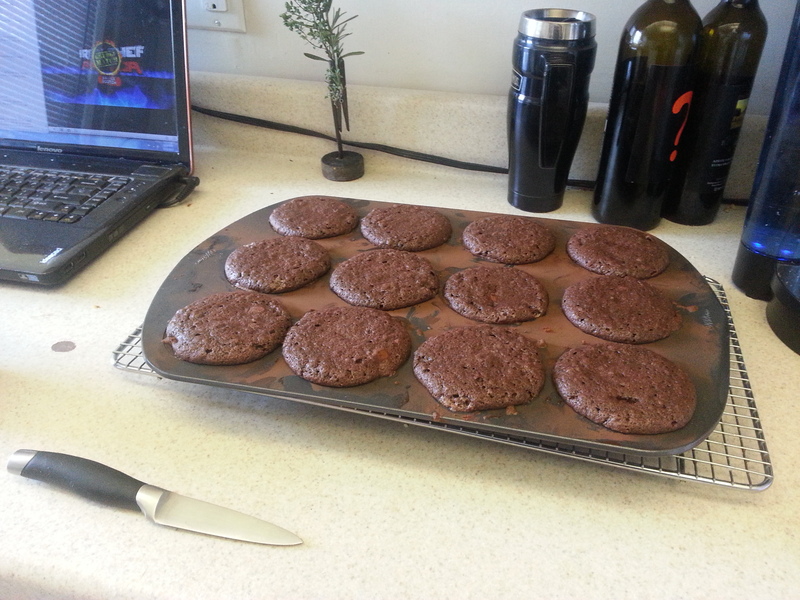 So while I generally have at least 2 lbs of butter, sugar, and flour on hand at all times, I rarely have baking chocolate. Someone did however give me a tin of unsweetened cocoa at Christmas, and over the weekend I found myself thinking that I really ought to use it for something wonderful. We were headed to a Mardi Gras party on Sunday night, and I’d previously thought I’d go with something vanilla and pecan-laced, but remembered that the hostess makes the world’s BEST king cake and decided that a contrasting dessert would probably be more enjoyed. “Okay, chocolate cake,” I thought. “Really freaking good chocolate cake. Chocolate cake of gloriousness.” Only I was out of buttermilk and entirely without something to acidulate the milk in my fridge. Regular milk would have worked fine, but the tangy, acidic quality of buttermilk gives chocolate cake that tender, soft crumb. As I often do when this kind of problem arises, I began pacing around the house trying to think of a reasonable substitute. It was the perfect storm: Out of buttermilk, yogurt, and sour cream. There wasn’t even a jar of applesauce anywhere! Then it hit me. A few months ago, Joe and I went to a wine tasting out in Loudon county and the gentleman serving us gave us each a piece of dark chocolate to go with one of the wines we were drinking. 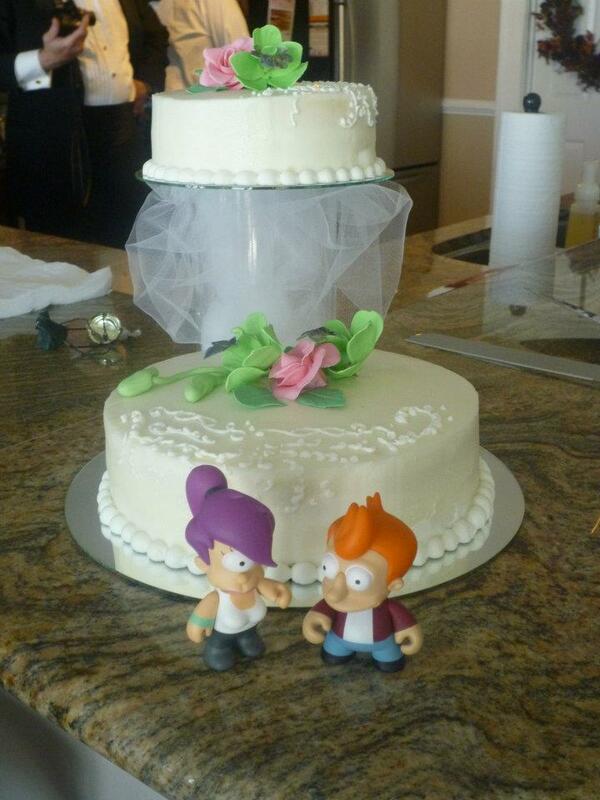 So why not take this concept a step further and put it in some chocolate cake? We had a mystery bottle of red table wine, and as Julia Child said, “The only real stumbling block is fear of failure. In cooking you’ve got to have a what-the-hell attitude.” Preach it, Julia. I’m now convinced that this is what should really be called red velvet cake. It doesn’t have that bright hue, but there is a deep red tinge when you cut into it and the spicy-sweet scent of red wine hits your nose right away. I went with a cream cheese filling for the middles, but powdered sugar alone would also be just fine. 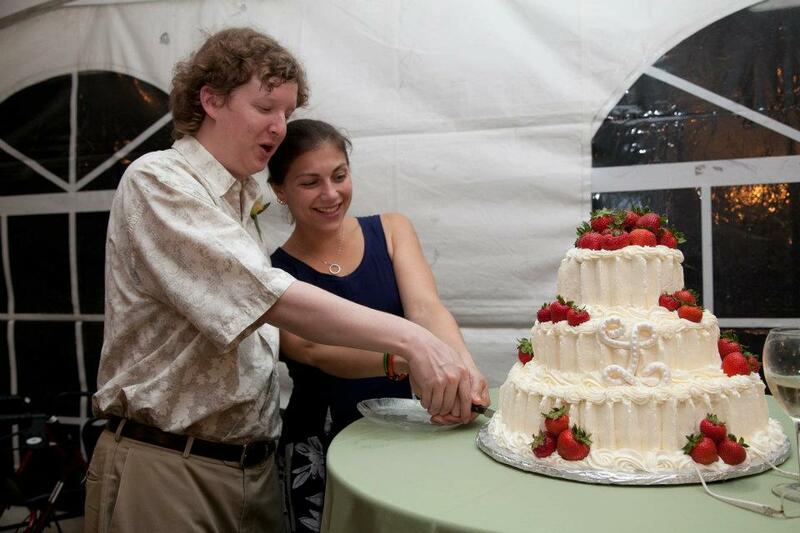 The cake is more than moist enough to be served without any kind of glaze or frosting. 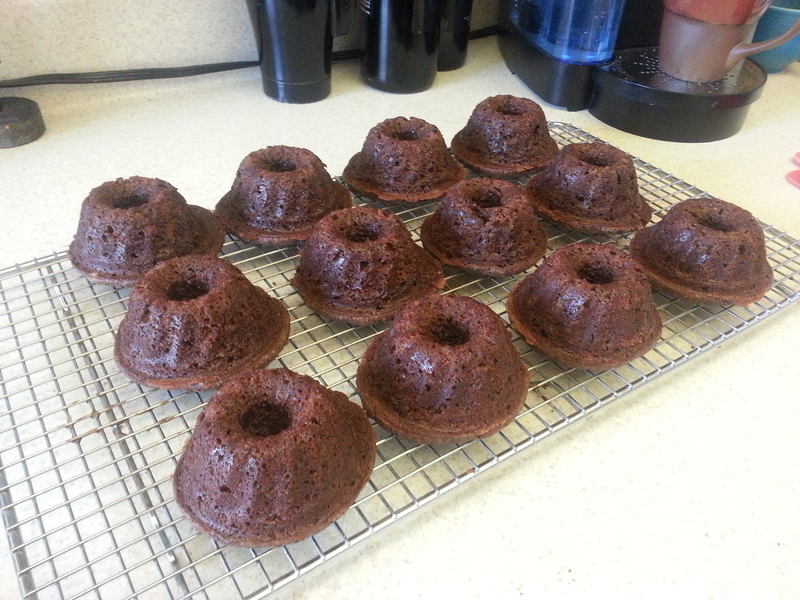 I used a mini bundt pan here, but this recipe also works baked in a cupcake tin or loaf pan. 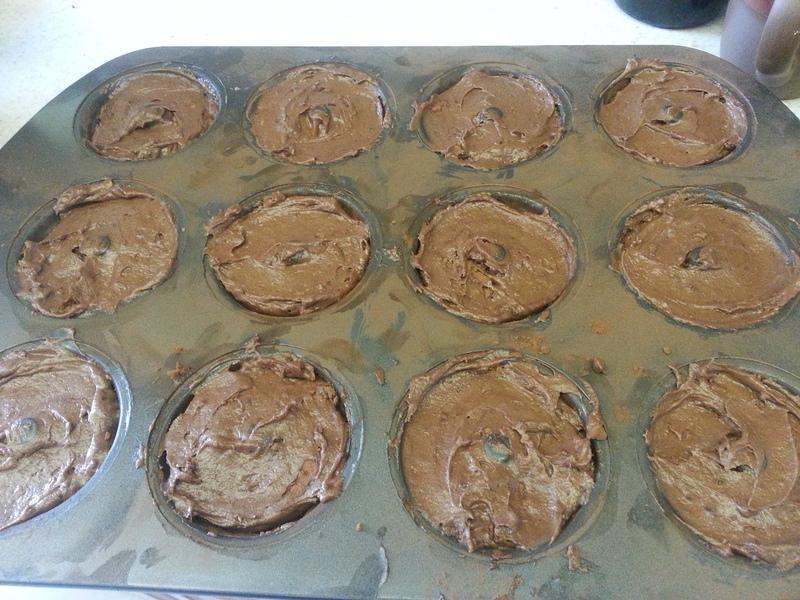 Preheat the oven to 325 degrees F. Lightly grease a cupcake tin or loaf pan, and dust it with cocoa powder. 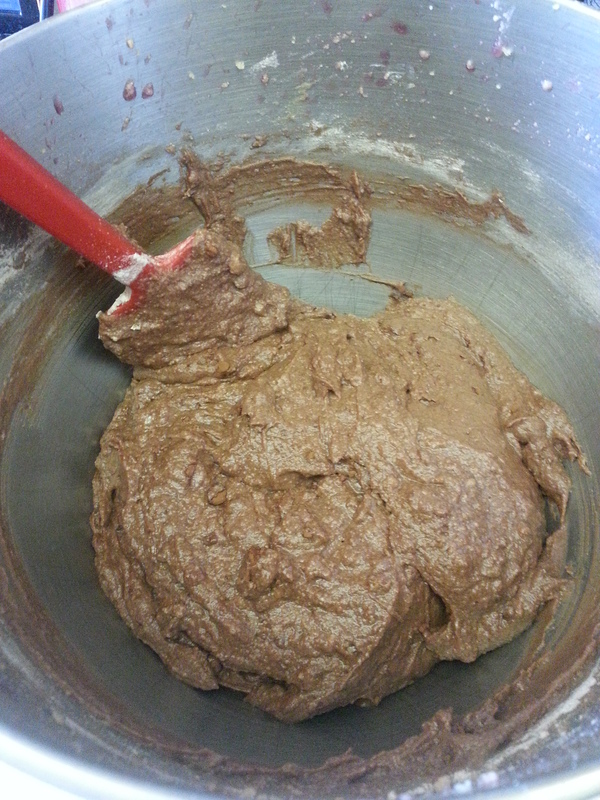 Cream the butter and sugar together until light and fluffy, scraping down the sides of the bowl as needed. Add the egg and vanilla extract and mix thoroughly. Mix in the red wine. 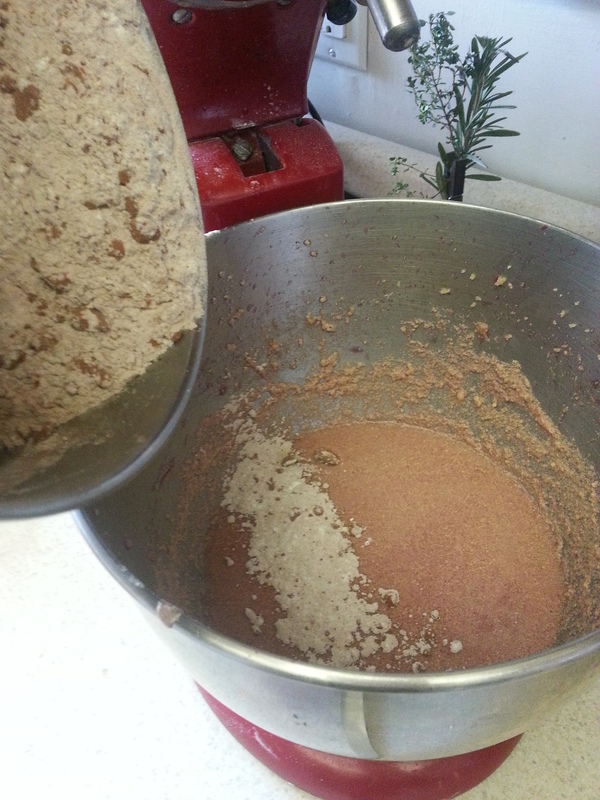 Do not panic if the mixture takes on an uneven or grainy appearance. This perfectly normal. Sift the flour, cocoa powder, baking soda, and salt, and then add them to the wet ingredients, stirring just until no dry spots remain. 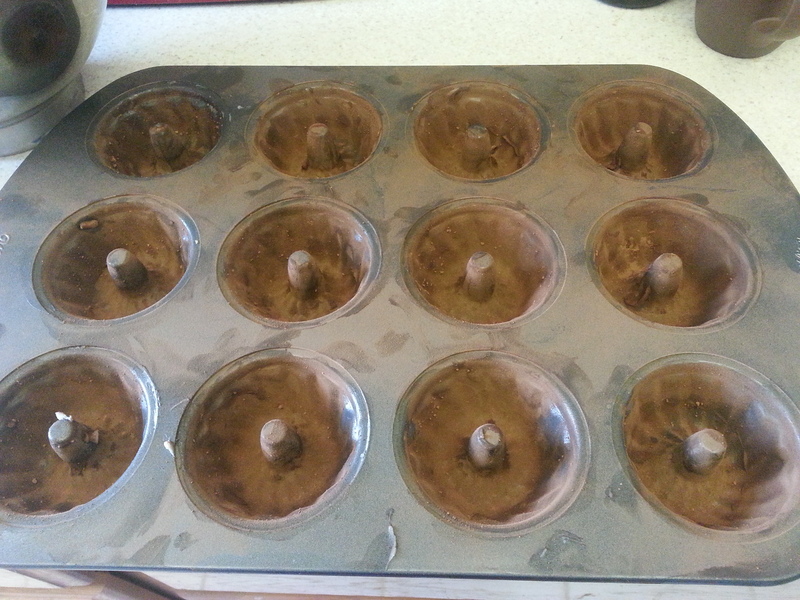 Spread the batter equally into the cupcake wells and then tap the pan lightly on a countertop to even them out. 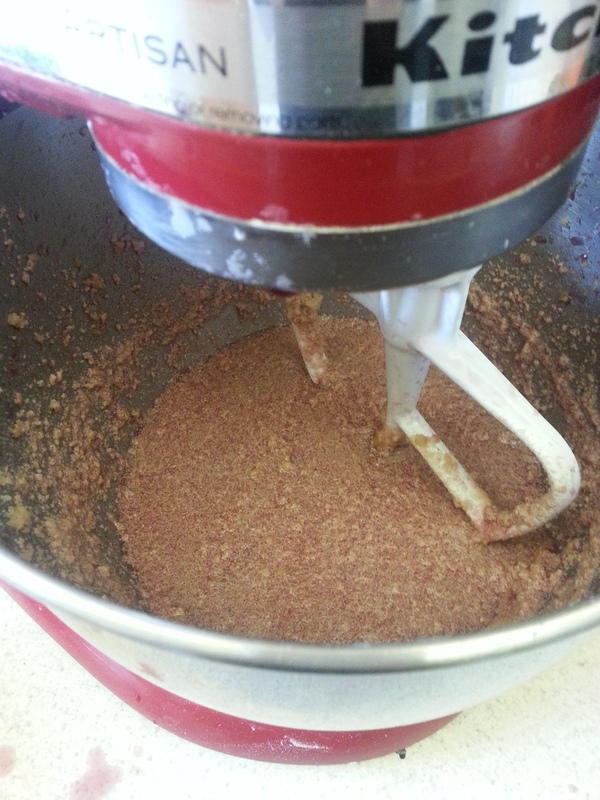 Bake for about 23 minutes or until a toothpick inserted into the center of a cake comes out clean. If using a loaf pan, it will take 50-60 minutes. 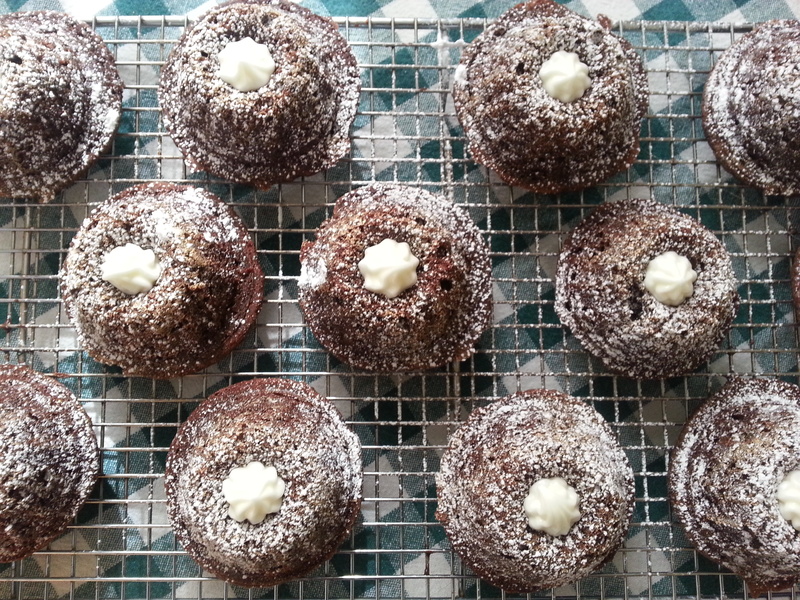 Allow the cakes to cool in the tin for 10 minutes and then turn them out onto a wire rack to cool completely. 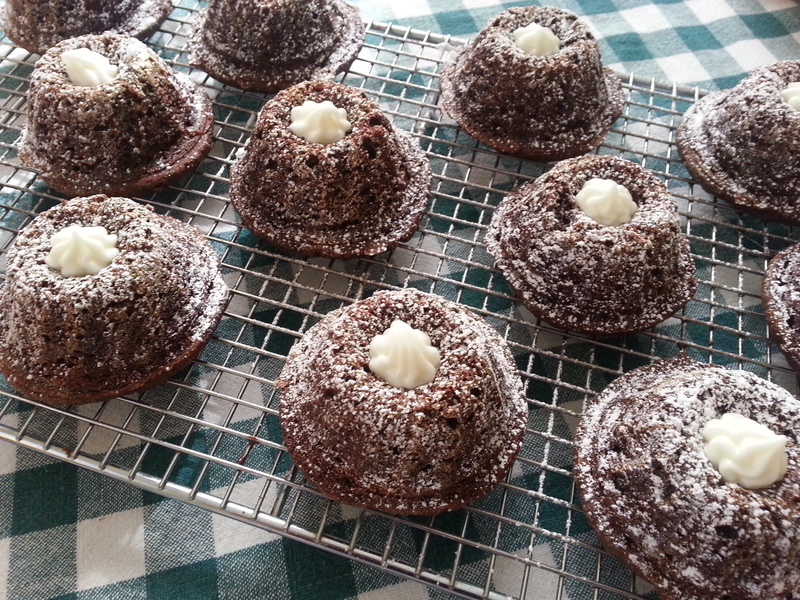 Dust with powdered sugar, or whip 4 oz. cream cheese, a punch of salt, and a few drops of vanilla extract with enough powdered sugar to reach the consistency of a frosting that can be piped or spread easily. If it gets too thick, just add a tbsp. of milk to thin it back out. These were whisked away to a Mardi Gras party where as far as I could tell, they were wholeheartedly enjoyed. I bet they’d be a great gift for your Valentine(s) too. And don’t give me the lecture on why you hate Valentine’s Day because it’s too commercial and has a narrow definition of love. Holidays are what you make them, and I refer you to this post.